EVMS is the leading Benchmarking 2.0® solution that overcomes the limitations of traditional benchmarking by delivering the most accurate and actionable data on 100% of medical equipment lifecycle costs. Miga AssetMax™ is the proprietary database and system that aggregates and maintains historical and real-time product, pricing and valuation information on more than 40,000 unique makes and models of new and pre-owned medical equipment from more than 3,000 manufacturers. For hospitals, the information available in Miga AssetMax™ is often the missing link they need to validate pricing and make and implement the most cost-effective equipment spending decisions. The Miga AssetMax™ database monitors and compiles data from a global network of more than 50,000 information sources spanning all 50 United States and 55 countries. This network includes hospitals, original equipment manufacturers (OEMs), distributors, resellers, service providers, charitable organizations, and numerous published and non-published sources of relevant and critical data. The payback on your annual EVMS subscription is guaranteed. 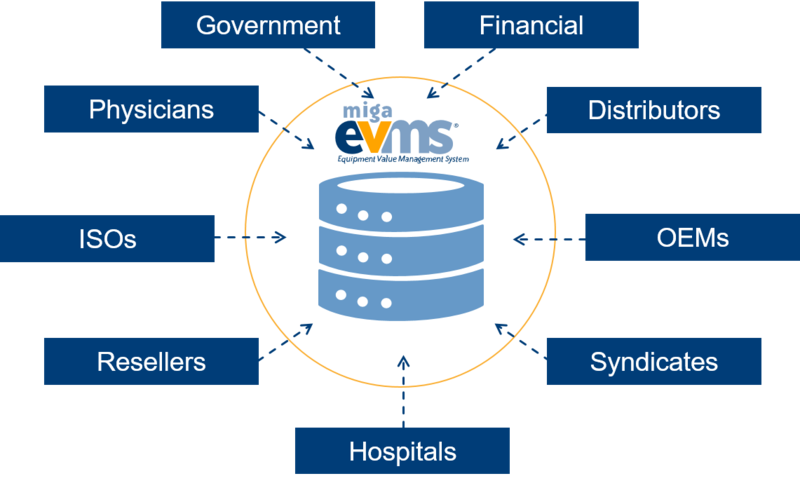 There are so many opportunities to drive savings in the medical equipment lifecycle; Miga confidently guarantees EVMS will pay for itself every year. 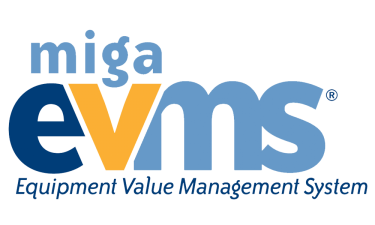 Based on actual results reported by hospitals using Miga’s EVMS, there is the potential for hospitals to save an average of $12,000 per bed every year – more than $2 million per year for a 200 bed hospital.